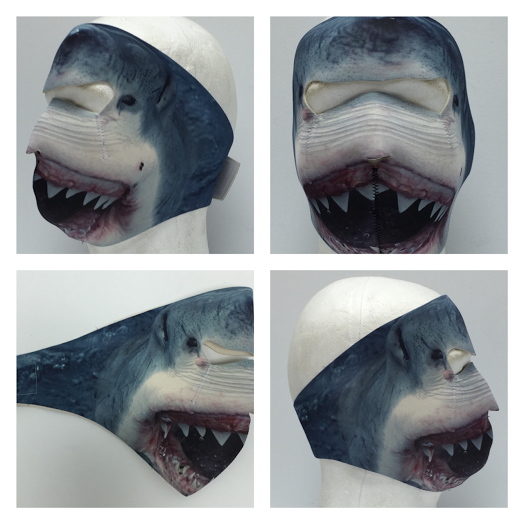 Keep your fins up with our Shark Ski Face Mask. This mask is made in the USA. Wear this mask when you fight the Jets....Yes, that is a West Side Story reference for all you thespians. and you're the only Biker in town. The mask image and material were great.